TAS conducts its Birdathon every year in April to coincide with spring migration. 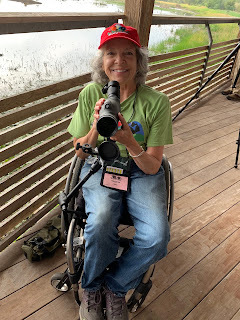 The fundraising event invites members to create teams competing for prizes in five categories: Most Money Raised, Most Species Seen, half day and long day, Rarest Bird, and Best Birdathon Story. Our members get very competitive about Birdathon! 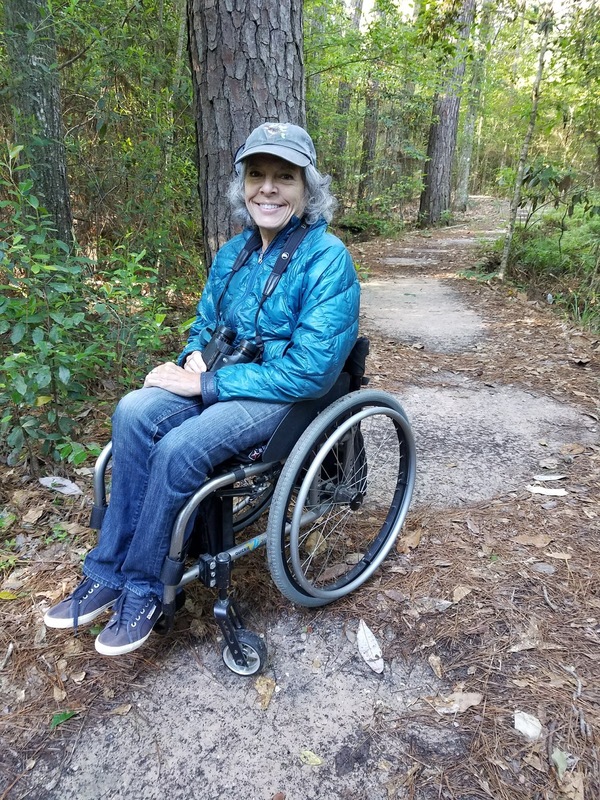 I decided to form my own Birdathon team this year, 2018, and am excited about the event. I named the team Birdability. See the Team Page below, found on the Travis Audubon webpage under the Birdathon banner. I am forming my first OFFICIAL Birdathon Team. 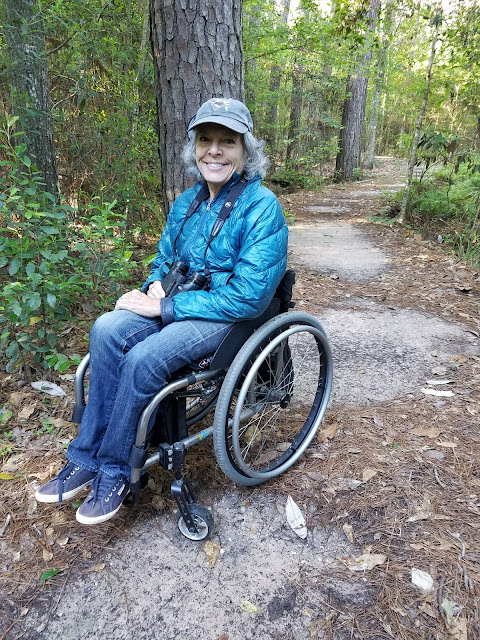 On Sunday, April 29, I will visit as many wheelchair-accessible Central Austin parks as I can from dawn to dusk, seeing as many bird species as I can. 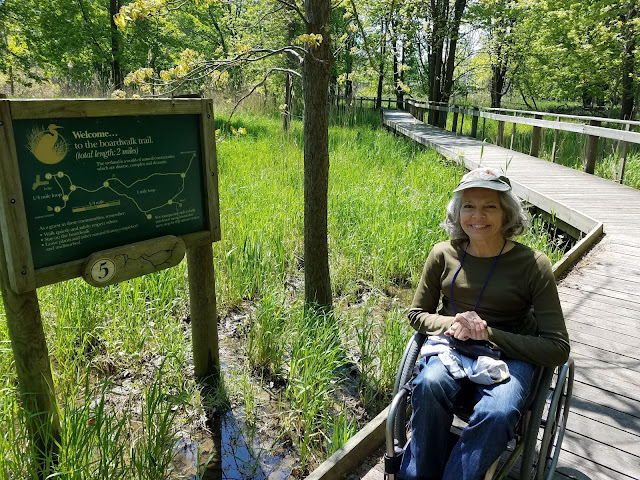 I will start at Berry Springs in Georgetown, then head south to Windermere, Richard Moya, up to Lake Creek Trail, Riata, and end at Beverly Sheffield Park, close to home. Whew! We will see how many of those parks I actually hit in one long day, but with training, a map, coffee, water, snacks, and your support, I think I can do it justice! I invite anyone to join me, but if you cannot, please follow the link below to donate and thanks! 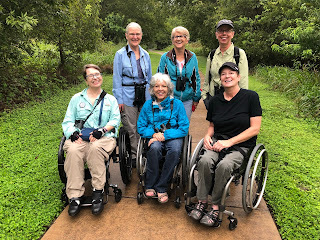 The shorebird class of 2018 left the classroom at Hornsby Bend Treatment Center in Austin, clamored into cars, and headed five minutes away to the mudflats at nearby treatment ponds. It was a warm and breezy early evening, and pink clouds dusted the western sky as the familiar stink and flies of Hornsby filled our cars. We caravanned the short distance on narrow dirt roads, parked, and unloaded the scopes. One scope after another created the scope line,ten lenses trained on a scattering of shorebirds about fifty feet in front of us. Let me tell you about the scope line. If you have never been in a scope line, it is a thing to behold, an exhilarating experience, a sense of belonging and camaraderie like no other. The birders start scanning, and it is quiet until one and then another start the narrative. "Second group from the left, lined up with the far power pole."